SIGN UP: READ THIS BLOG POST! – I know it’s long but PLEASE READ IT, the reason it’s so long is because I want everyone to know how its run and what the standards are. I’m actually really easy going, so don’t let all this FAQ scare you! Fill out the Questionnaire at the bottom if you haven’t previously (you only fill it out once)! – then email pabkins at gmail dot com with “HOARDERS” and your INSTAGRAM ID in the subject line! I think we all collect things, but some folks or creatures take it to a whole nother level…that’s right – they HOARD them. So much of it that it takes over their life and space. 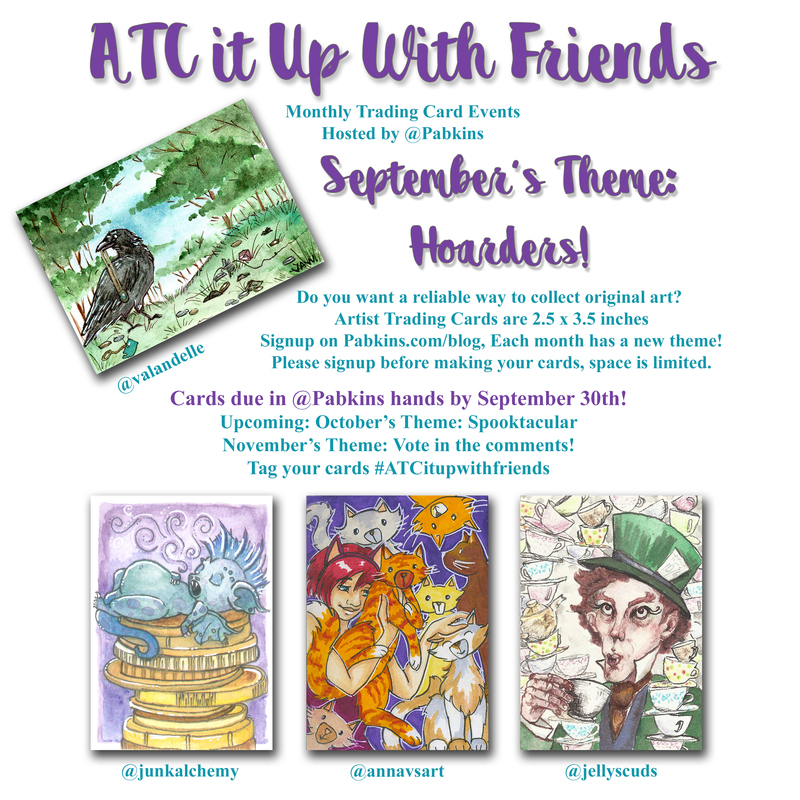 I think I hoard art supplies….what about you? Anyways for this month’s theme and challenge your card must be a hoarder! Of course a hoarder isn’t a hoarder without their hoard…so that is the challenge. Have fun!! Cards must depict your hoarder and their hoard, or just the hoard, but definitely must include a hoard. Please look at the Pinterest examples or ask me questions. The pinterest sadly features mostly dragons because when I went searching for examples that’s pretty much all I could find for art pictures. No flat white backgrounds! Your cards should be a finished piece of art. 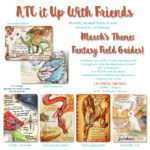 These monthly themes are intended as a CHALLENGE as well as a way to trade fabulous original art and bond our little art community. Please rise to the challenge and treat your fellow artists with respect by putting in your best efforts. If you can’t do that then please do not apply. CANADIAN ARTISTS – Your envelop SHOULD BE MAILED AND POSTMARKED on or before September 20th. Mail from Canada to US usually takes 4-10 days.